My two year old is like most two year olds; she can be emotional, grumpy, tired, and destructive. All of these toddler qualities seem to make themselves known even more when we are out and about, and holding a big kid for an hour can be very tiring. 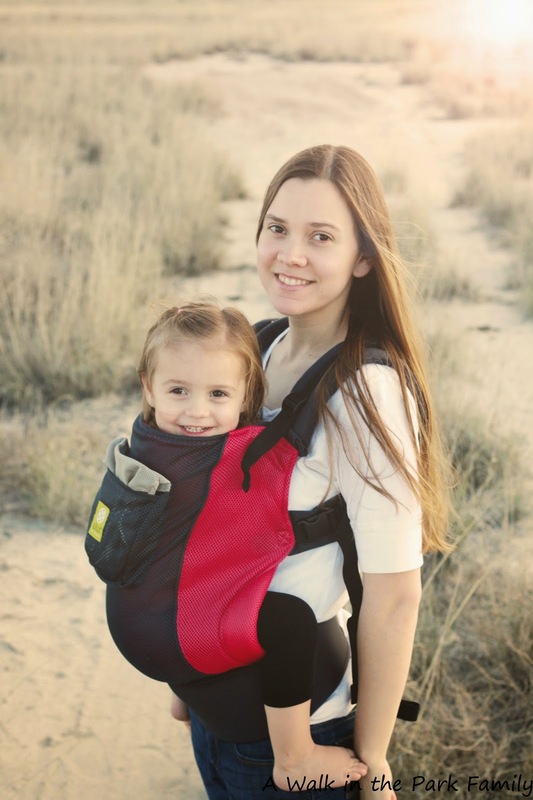 So although a toddler carrier might not be necessary on a day-to-day basis, it is definitely nice to have on outings, hikes, or even shopping trips. 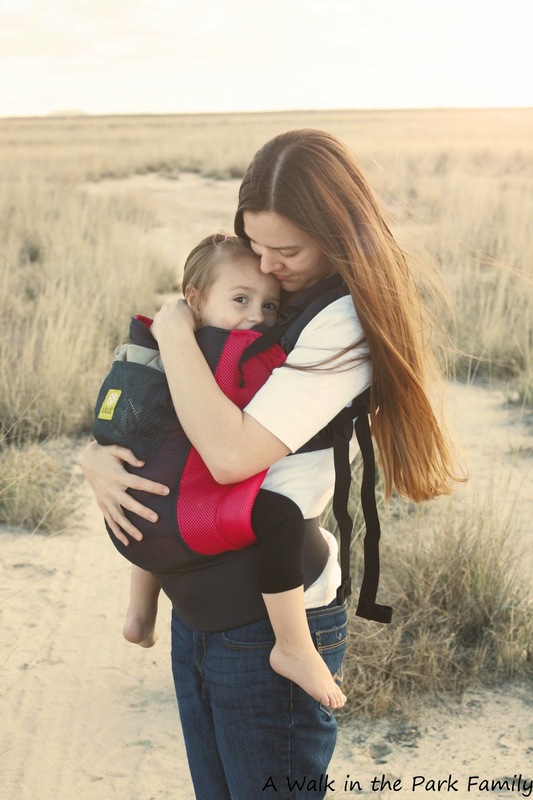 The LÍLLÉbaby CarryOn Air is AMAZING! It is super comfortable, and fits my 30 pound, 35.5 inch 2.5 year old perfectly. The breathable mesh is perfect for our hot Arizona weather, but it is still soft and supportive. 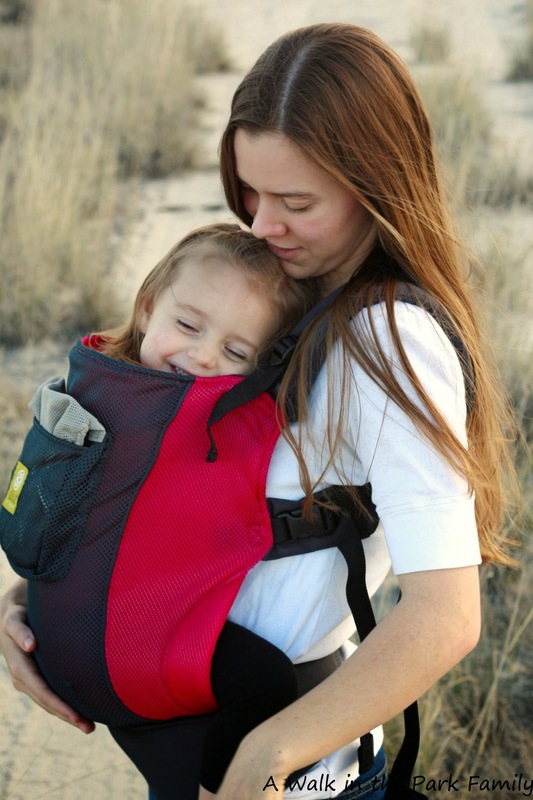 It also features a lumbar support that helps distribute the weight on your back making it even more comfortable. I can hardly feel the 30 pound kid on me, so that's impressive. The CarryOn can be used up to 50 pounds, so this will not be outgrown anytime soon, which makes a great carrier even more worth the investment. It has dual adjusting straps which makes adjusting on front or back super easy. And the waist belt has extended padding that helps evenly distribute weight around your hips. One of the coolest features are the large pockets that can hold quite a bit of the stuff that us moms have to pack around. Although my baby girl isn't really a baby anymore, she still feels safe and secure snuggled up with her mom. 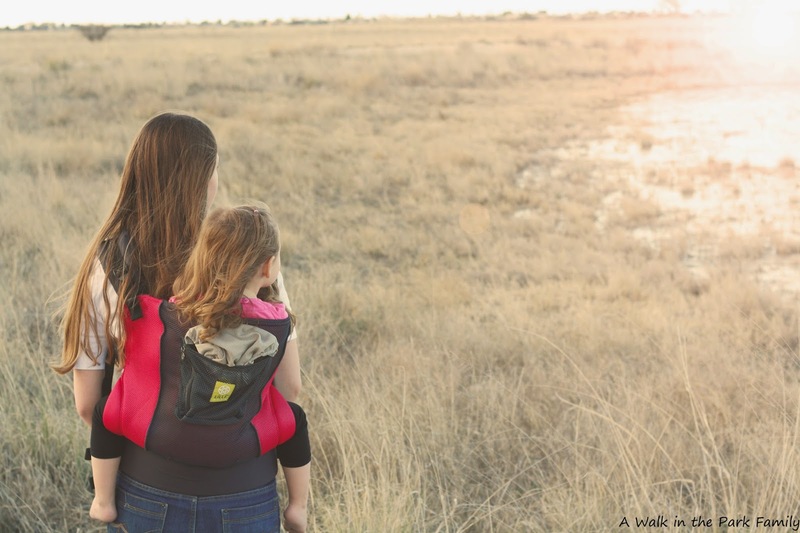 Even the most extreme toddler tantrums can be tamed by love; and that is why I love the CarryOn, it keeps what matters most to me close to my heart.